You will ensure with smooth running of the kitchen, including attending meetings with your customers and suppliers to discuss contract requirements. You’ll also have to ensure that the food you serve meets their needs around nutrition and special diets. 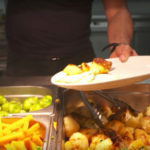 During food service, you’ll supervise the kitchen staff and the waiting staff, ensuring that the food goes out on time, and is of a high standard. 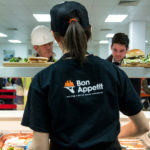 You will have previous experience in the catering or hospitality industry with extensive experience in a customer facing role, where you dealt with suppliers and contracts.